Equator. Featuring stainless steel interiors, series 55 built-in and integrated dishwashers are manufactured with a retractable knob for controlling cycles. Indicator lights now come on at the end of the wash cycle, as well as when cleaning is completed. 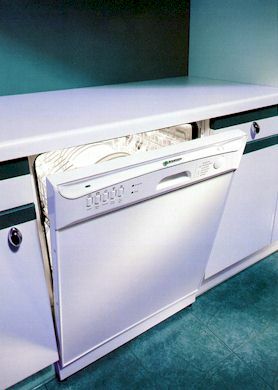 The dishwashers are available in white or black.